Full video footage of the 2015 Decision Conference  is now available on YouTube. You can check out full video footage of all of the speeches, presentations, and panel discussions from the 2015 DMC at the following link: 2015 Decision Makers Conference Video. 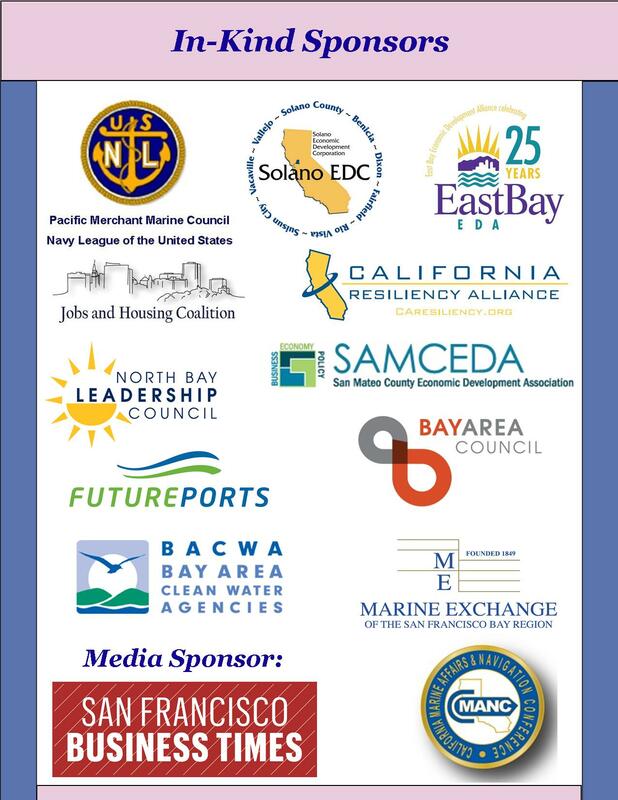 The annual Decision Makers Conference is the premier annual gathering in Northern California to discuss the key issues and challenges facing those whose lives and livelihoods are connected to San Francisco Bay and Region, and its maritime commerce, industries, infrastructure, and ecosystem. The DMC is the critical regional forum where the staffs and leaders of the goods movement sector and Bay-oriented industries and businesses join key elected officials, policy makers, regulators and non-governmental organizations, as well as the general public, to focus together on the solutions that will strengthen and grow a strong, sustainable and resilient maritime and industrial economy and ecosystem for San Francisco Bay and its Region. 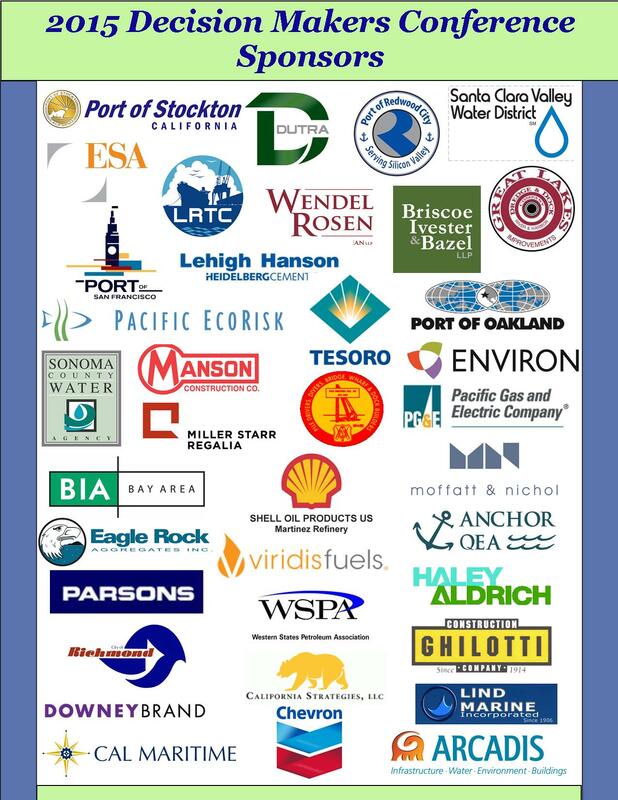 The annual Decision Makers Conference is the premier annual gathering in Northern California to discuss the key issues and challenges facing those whose lives and livelihoods are connected to San Francisco Bay and Region, its maritime commerce, industries, infrastructure and ecosystem. The DMC is the critical regional forum where the staffs and leaders of the goods movement sector and Bay-oriented industries and businesses join key elected officials, policy makers, regulators and non-governmental organizations, as well as the general public, to focus together on the solutions that will strengthen and grow a strong, sustainable and resilient maritime and industrial economy and ecosystem for San Francisco Bay and its Region. Thank You to our 2015 DMC Sponsors!